Well, well, well folks. It has been quite a few weeks for the Boston Bruins. After rattling off 8 wins in 10 games to start December, The Bruins lost to both the Washington Capitals, and New York Rangers this past weekend. They lost to the Caps 5-3, and 3-2 in overtime to the Blueshirts. In both games, the Bruins played well enough to win. They just can’t seem to beat either team in the regular season. The B’s just cannot find a way to beat either team. After winning quite a few in a row, things seemed to be cooling down. Not with this years Bruins teams. They did not fold, or enter a rut like many a Claude Julien Coached team. This past week the Bruins got back-to-back wins at the expense of the Columbus Blue Jackets, and Buffalo Sabres. Monday night saw Metropolitan Division foe Blue Jackets enter TD Garden. From the very second the puck dropped, the Bruins were all over the Jackets. Red hot right winger Brad Marchand opened up the scoring, shoveling home Patrice Bergeron’s slick feed. After 1 period it was 1-0 B’s. The second period saw the Bruins continue to hound the Jackets. Veteran Center David Backes added his third goal of his young season, and rookie of the year candidate Charlie McAvoy notched his 5th goal of the season. McAvoy would later collect an assist, and take part in his first NHL fight. It was a Gordie Howe hat-trick at TD Garden! Leading 3-0 earlier in the third period Columbus finally got on the board. Josh Anders potted his 13th of the year to make it 3-1. That’s when this young Bruins team turned it on. They drove the nails into the proverbial coffin. Rookie standout Danton Heinen scored his 8th goal of the year. Torey Krug blasted home his 5th shortly after. Patrice Bergeron and Jake Debrusk notched goals each to make it 7-1. Columbus would get a garbage time goal from Seth Jones before the game had ended. 7-2 final. Last night was a little bit different for the up and coming Bruins. They traveled up to Buffalo to meet the dreadful Sabres. It was the Bruins second game in two nights with young legs it shouldn’t be too much to handle the Sabres. There was a bit of a revenge factor, as the Bruins had blown a 3-1 lead at home to the Sabres earlier this season. This time the Sabres were shut down by a man named Dobby. Bruins backup Goaltender Anton Khudobin played the back end of this back-to-back stretch. He would not disappoint. For most of the first, and second period Buffalo was flying. They clearly had more energy than the youthful B’s. Never fear, as for the first time in years the Bruins have a solid backup who can win them some games. Dobby stopped 31 shots on 31 attempts. He was flawless, keeping the Bruins on life-support. Finally, mid-way through the second period, Jake Debrusk notched his 8th goal of the season to open up the scoring. Dobby and the Bruins defense would hang tough in the 3rd, surviving the Sabre’s onslaught. 4th liner Tim Schaller, and David Backes both netted empty net goals to seal the game. The Bruins finish off their three games in four nights stretch on Thursday when the Winnipeg Jets come to TD Garden. 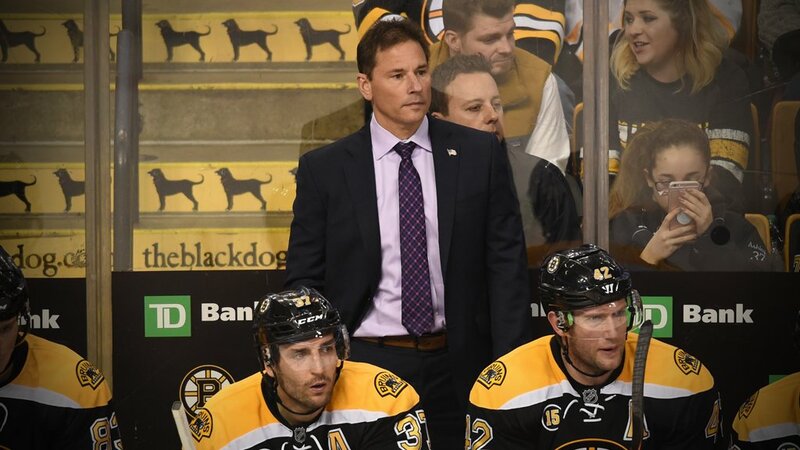 It is finally looking like the past few seasons of mediocrity are paying off for the Bruins. Young guys are playing massive roles on this team night in night out. Each game there is a new guy. One steady constant though, my man Butchy!